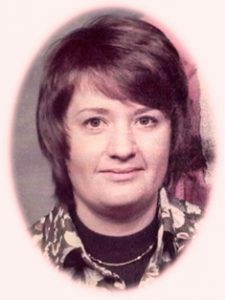 Marlene M. Aultman, 73, died peacefully March 15, 2018 at Atrium Post Acute Care in Plymouth, Wisconsin. She was born June 18, 1944 in Port Washington to Joseph and Margaret Thiel Weiss. She attended local schools and graduated from Port Washington High School. She married Richard Maxon and they had a daughter. He died in 1963. She married Roger Aultman in 1971. Throughout the years she lived in Saukville and Grafton, but returned to Port Washington in the 1980’s. Marlene worked at various jobs including the former Gilbert Shoe Factory, the former Doer Electric, Allen-Edmonds and was a school bus driver. She took a job at Woolworth Corp. in Brown Deer as an accountant until 1983 because of medical issues. She enjoyed nature, spending hours outside watching the birds, squirrels and flowers in the spring. She liked the cooler air and colors of fall. She loved Christmas for the lights and her daughter’s shrimp salad only made at Christmas. Marlene was an animal lover and took care of hurt or homeless animals, which led her to her best friend Snow, her cat. She is survived by her daughter Debra (Charles) Maxon of West Bend, grandchildren Melissa (Aaron) Maxon of Saukville and Michael Maxon of Grafton. Further survived by her husband Roger, other relatives and friends. She is preceded in death by her husband Richard Maxon and her parents Joseph and Margaret Weiss. Private family services have been held. Donations to the Ozaukee Humane Society are appreciated.